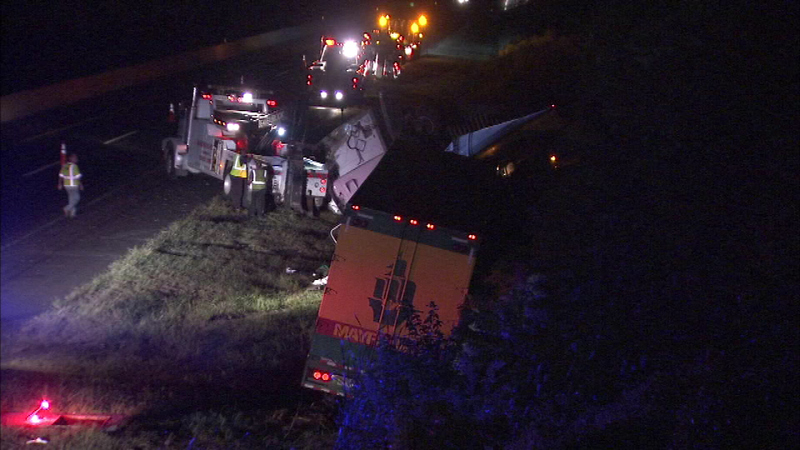 CHERRY HILL, N.J. (WPVI) -- All lanes are back open after a multi-vehicle crash on the New Jersey Turnpike in Cherry Hill. 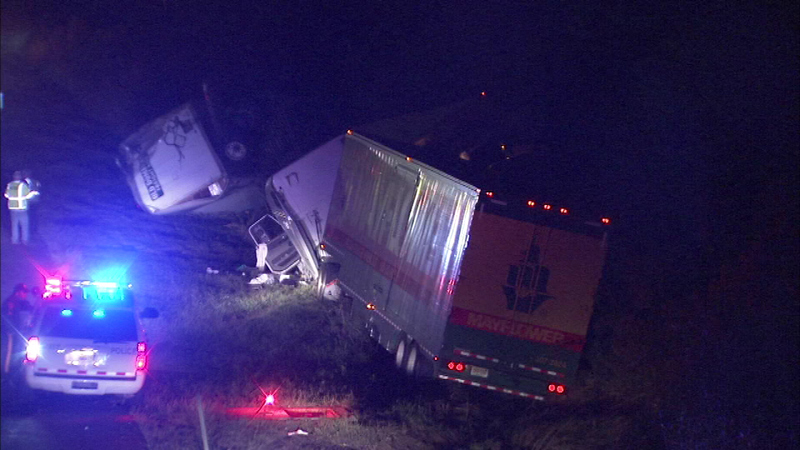 It happened around 1 a.m. Thursday in the southbound lanes between exits three and four. 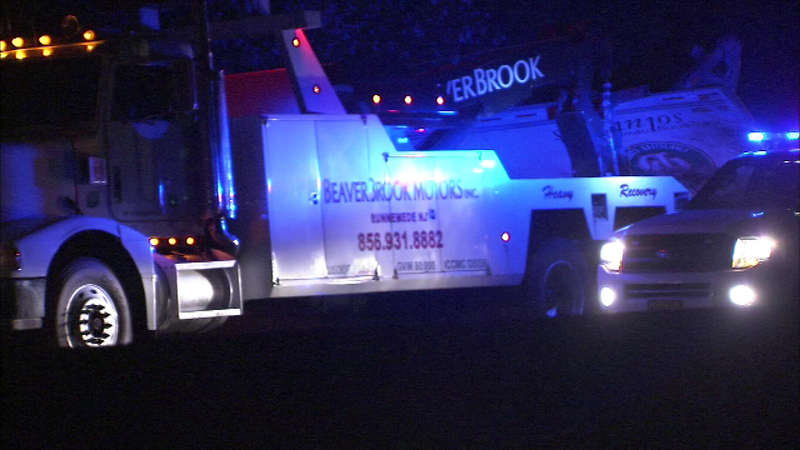 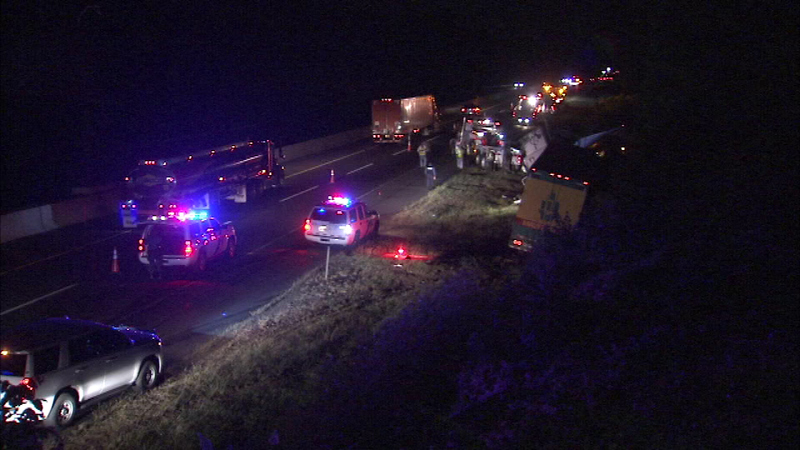 Police say the crash involved two tractor-trailers and an SUV. 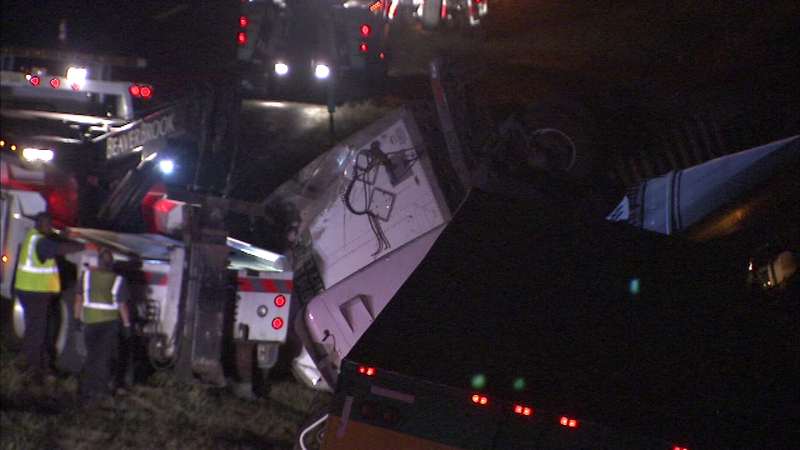 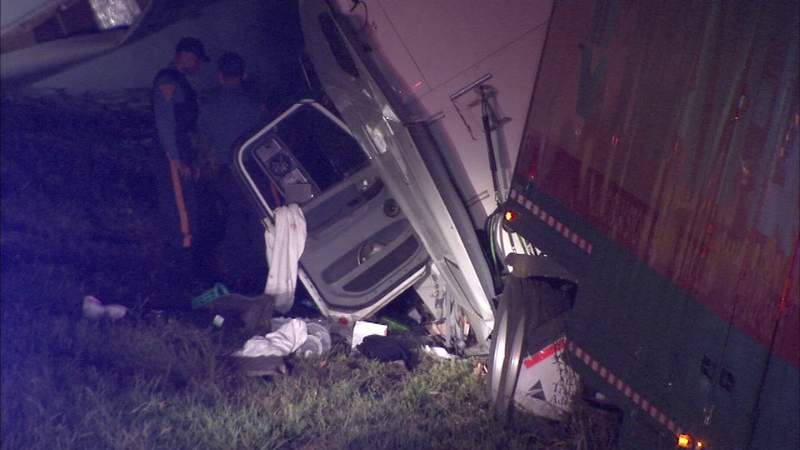 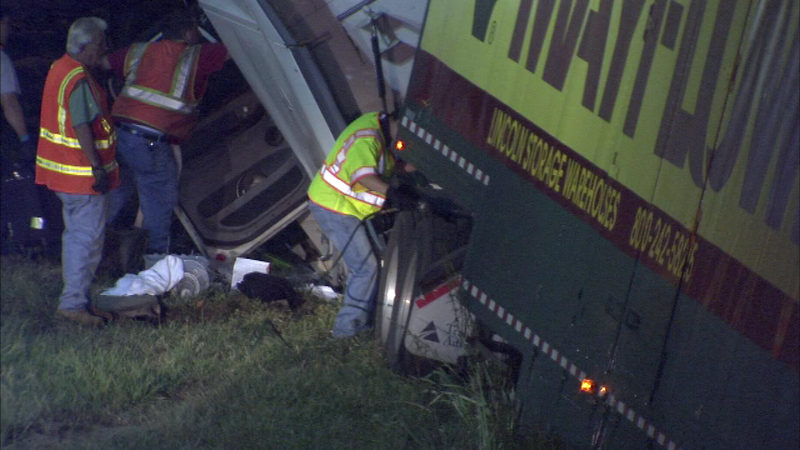 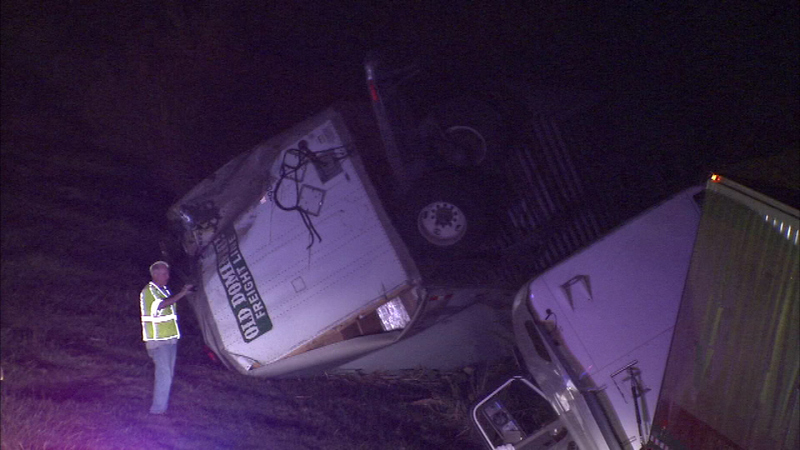 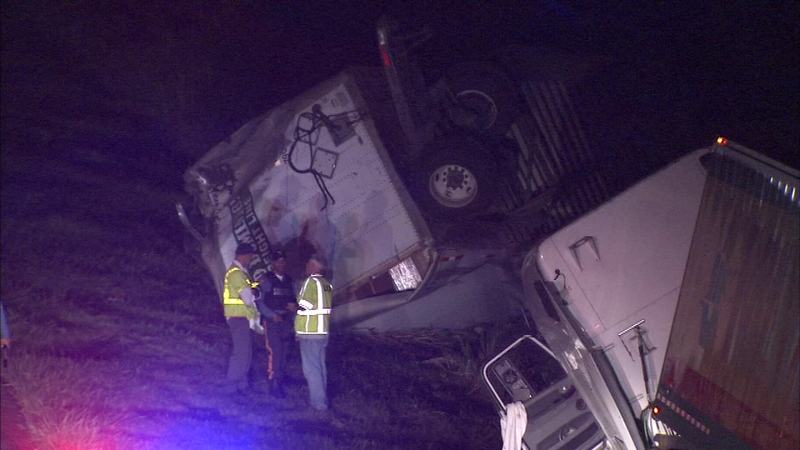 All lanes of the NJ Turnpike are back open after an overnight crash in Cherry Hill. 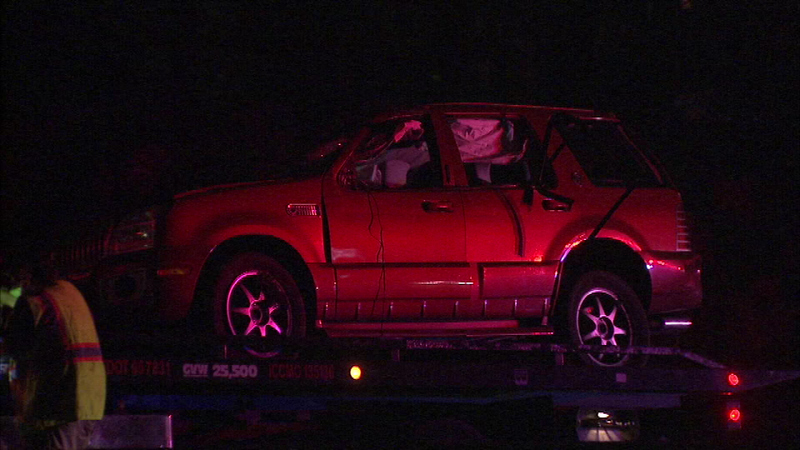 The impact of the crash caused the SUV to roll over, trapping one person inside. 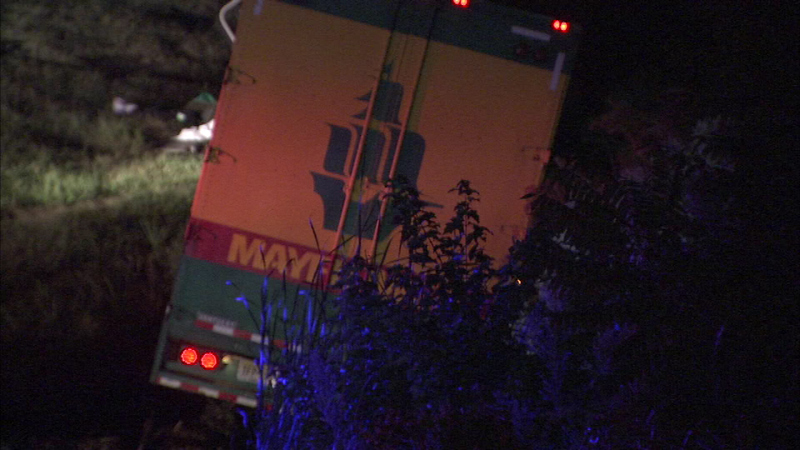 That person was rescued by crews on site. 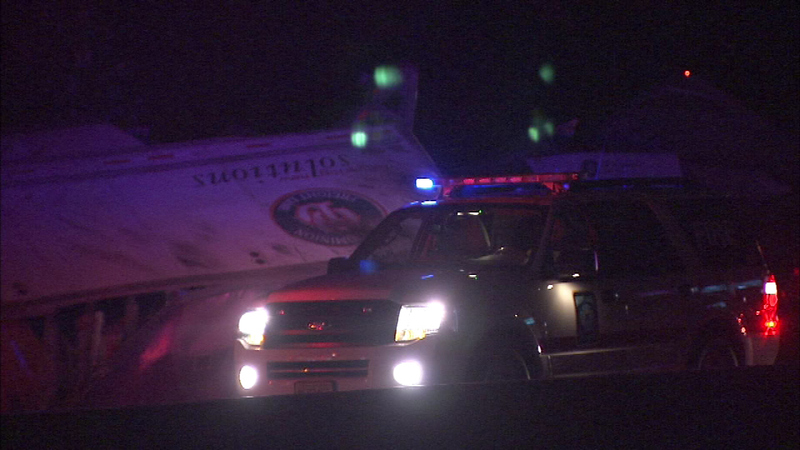 Action News was initially told six people were taken to area hospitals. 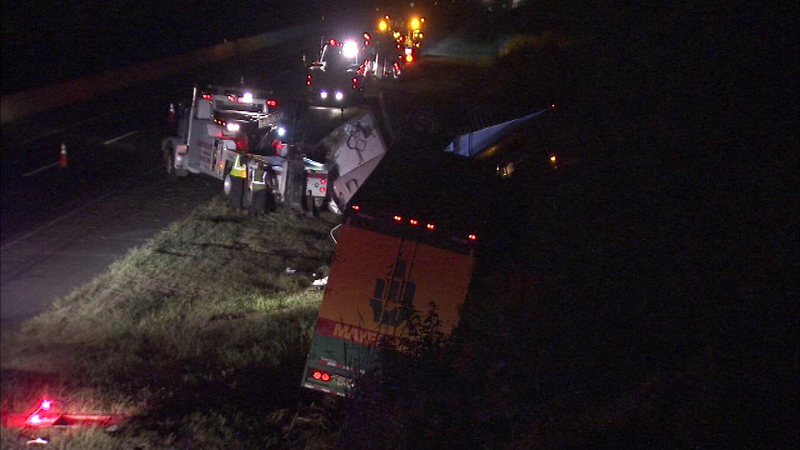 New Jersey State Police later said no injuries have been reported from the crash. 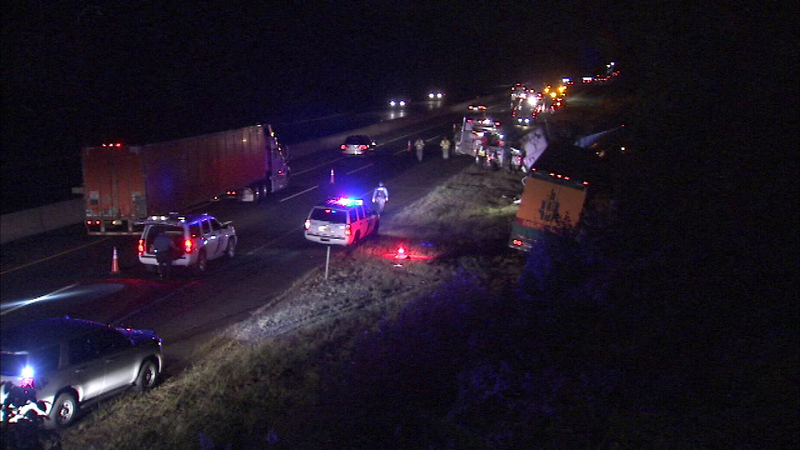 Southbound traffic was down to one lane approaching the scene for hours. 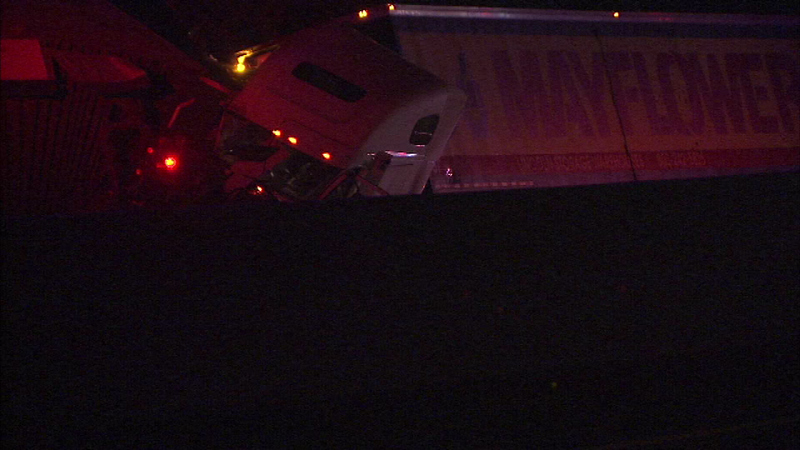 That closure remained in effect until 10:45 a.m., when the lane was reopened.